The Trail Blazers closed the game on a 14-3 run over the last 4:12 to earn a 117-112 victory over the Pistons tonight in Portland. 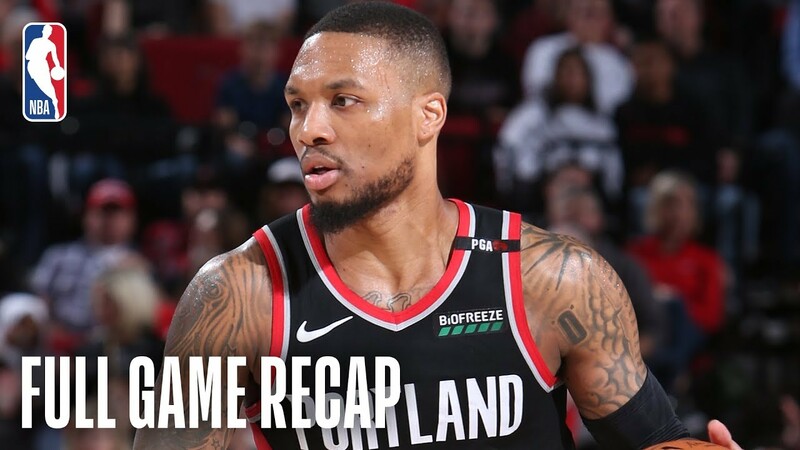 Damian Lillard led the Trail Blazers with a game-high 28 points (9-16 FG), along with 6 rebounds and 9 assists, while Al-Farouq Aminu added 22 points (8-13 FG) and 7 rebounds in the victory. Blake Griffin paced the Pistons with 27 points (10-18 FG), 3 rebounds and 6 assists, while Reggie Jackson recorded 24 points (0-16 FG) in the losing effort. With the win, the Trail Blazers have won 3 consecutive games and improve to 45-27, while the Pistons fall to 37-35 on the season.